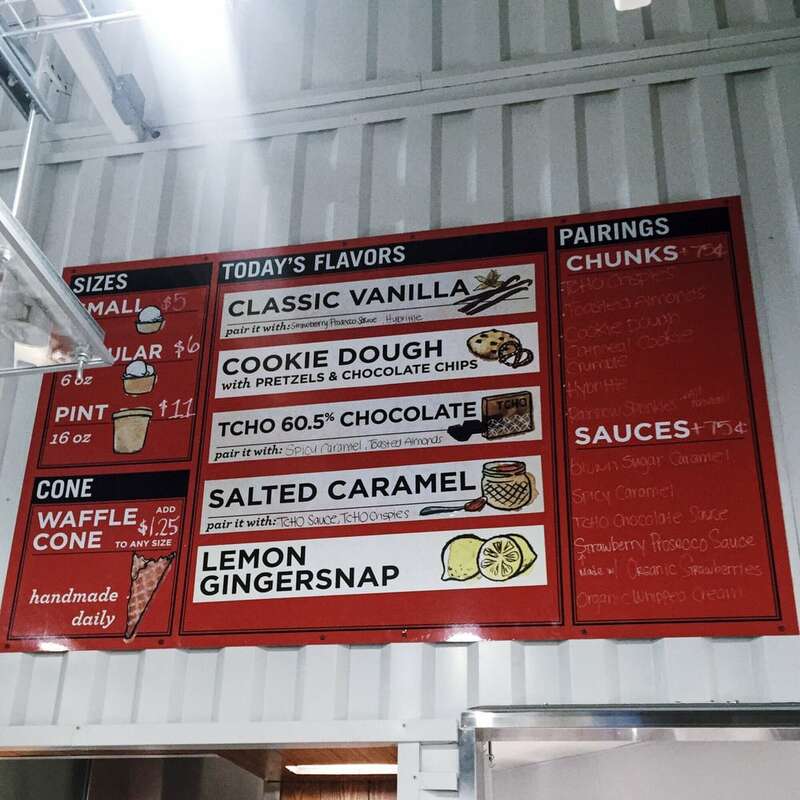 San Francisco-based Smitten Ice Cream has closed its only Midpeninsula location after a short-term lease for its location inside the Whole Foods Los Altos expired, founder Robyn Sue Fisher confirmed Friday. The shop's last day was on April 30, according to a message posted outside. The store-within-a-store model was an experimental "prototype" for Smitten, Fisher said. "We were intrigued to see what it would be like and had a great experience but are now looking for our own brick and mortar in the Palo Alto area instead," she wrote in an email. Kirsten Aguilar scoops strawberry ice cream off the beaters of a Smitten "Brrr" machine at the Los Altos shop in 2014. Photo by Veronica Weber. The message posted outside the shop urges local patrons to email Smitten if they see a location that would fit for the ice creamery at info@smittenicecream.com. Fisher, a graduate of the Stanford Graduate School of Business, started Smitten by peddling her ice cream from a Radio Flyer wagon on the streets of San Francisco. With a retired engineer, she had built a now-patented machine that uses liquid nitrogen to serve made-to-order scoops. The machines now feature prominently in Smitten's stores. Fisher opened her first brick-and-mortar shop in San Francisco in 2011. Smitten has since grown to nine locations in the Bay Area and Los Angeles. Jesus H not another ice cream yogurt place DTPA! Why would an Ice Cream shop ever sign a lease that ends on April 30? Now they are going to miss all that summer revenue. I am a lover of ice cream, but this place was off-putting. not really get a good look at what the product was. There was no simple menu or directions, no clear pictures, prices. Who does business this way and expects to survive. around and think about what you want. Darin is a registered user. Maybe they didn't think of it as a lease that ended April 30, 2017. Maybe they thought of it as a lease that began May 1, 2016. That sounds like an opportunity to gain all of last summer's revenue. If you click the link in the article, it takes you to another article about the grand opening of this particular Smitten on December 19, 2013. Very odd how they could end up with a lease which ends on April 30. Doesn't seem like a great lease end date for, you know, an ice cream business. But what do I know? Love the Smitten in SF. Perfect dessert after the symphony. I can definitely see how it would have been difficult to navigate/organize in WF. Problem is that they make it right there and you have to be willing to wait a bit. It is uniquely fresh....if not Los Altos or Palo Alto - consider Redwood City. Seems like there could be a good place somewhere on Broadway...closer to me. Bummer! I used to hit them up at 945 pm before they were popular, I often could order a small and get a large (thanks Mr or Ms Manager). Clearly, though, it is not a location that is going to inspire walk-ins, and Whole Foods can be very busy at time just with people shopping there (days before holidays in particular can be insane). Will miss this location. If they put it downtown then it competes with Fraiche in my list of places to go. @CrescentParkAnon - No simple menu? How much simpler to you need? The ice cream was good but Rick's is better, less expensive, more choice. I went in once but had such a long wait despite no line, and sticker shock. That said, the location on that site is not set up to be noticeable.